Solving a life-long mystery, on a trip to Argentina that never should have been. “Hey, wanna come over and watch the new Game of Thrones episode?” I heard myself asking Natia, the beautiful girl with gorgeous hazel eyes sitting across from me at Canudos Ethnic Bar in Tbilisi, Georgia. An audacious proposal for sure, what with me showing up to our first date in flip-flops, a sweaty t-shirt and a shaved head caught in that awkward growing-out phase. 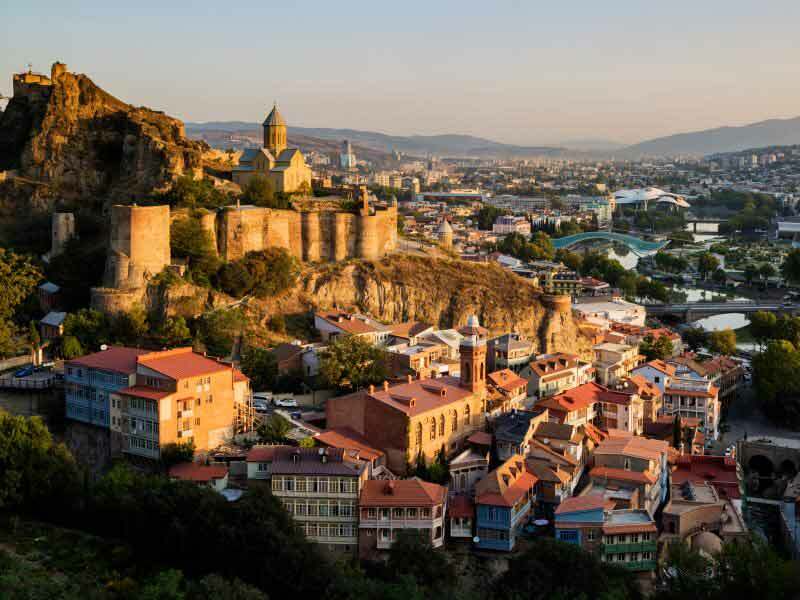 It didn’t matter if she rejected me; I’d be out of Tbilisi soon. The Gringo Trail awaited. Ever since picking up a copy of Che Guevara’s The Motorcycle Diaries more than a decade ago, exploring South America had been my dream. And having binge-watched Narcos’ wild, anarchic portrayal of Colombia, I was hooked, and had already booked my flights to Bogotá. Travel was my escape, each destination another distraction. Having grown up as an expat in the Arabian Gulf, with few cultural roots to either Oman (where I spent much of my childhood) or my native Hungary, “home” was both everywhere and nowhere. It was liberating, yet also lonely: a constant, unfillable void; an itch that I couldn’t quite scratch. My date of departure was just shy of four months away: the perfect amount of time to spend in Georgia before the itch came back. Once in Colombia, I’d backpack my way down to Buenos Aires – my romanticized continent was waiting. That one little word changed everything – what started as an innocent hook-up had blossomed into full-blown love by winter, and I found myself in uncharted territory. Years of parental caution about getting into serious relationships at a young age, coupled with my addiction to travel, led to many sleepless nights trying to figure out what to do. But there was something about Natia – whenever we were together, that perennial itch of mine disappeared. The jungles of South America may have teemed with exotic wonders, but my world was now shrunk down to the four walls of my stuffy Soviet apartment. What happened beyond those walls was insignificant. We could have been in the desolate gulag towns of Siberia for all we cared – what mattered was that we were together. In the end, nothing could keep me away from South America – not even Natia. In fact, she turned out to be the catalyst. Instead of spending the first week of January searching for Bogotá’s best arepa, I traveled to Abkhazia, Natia’s Russian-occupied, war-torn, forbidden homeland in northwestern Georgia. Memories of Eden, the story inspired by that trip, won me a writing scholarship – the prize was a three-week trip to Argentina in May. It wasn’t what I saw in Abkhazia that terrified me, nor was it that I’d fallen deeper in love with someone than I ever thought possible. I wasn’t supposed to come to South America. Winning this scholarship put me on a collision course with what I feared the most: What if the grass was greener on this side of the Atlantic? What if the itch came back? As the airplane wheels kissed the tarmac of the Buenos Aires airport, I realized I’d finally made it to South America – country number 37 was waiting. I handed my passport to the border control agent, smiling and proudly showing off the few words of Spanish I knew. It was May 6, and my return ticket was open-ended. I could already feel the adrenaline start to flow. Buenos Aires turned out to be just as dazzling as I’d heard. I spent a week discovering the “Paris of South America,” going through the checklist of sights – a tango night; an Argentine steakhouse; the colorful streets of La Boca; La Recoleta Cemetery – I even met the pioneers of the city’s world-renowned street art scene. But something didn’t feel right. The usual euphoria of travel seemed tainted with an emptiness I couldn’t quite put my finger on. I brushed it off, blaming my jet lag. Flying halfway around the world must take its toll, I figured. 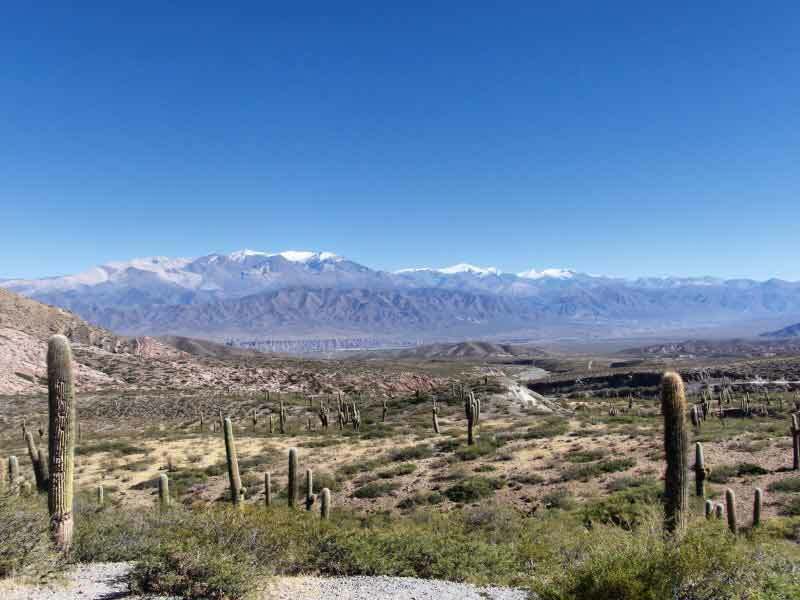 Next on my list was Salta, the fabled north of Argentina, rich with cultural history and natural wonders. But while I could marvel at the natural beauty of the Great Salt Flats, or the landscapes that alternated between polychromic sandstone gorges and green valleys, their hold over me was fleeting, the experiences discarded like so many cigarette butts. Too many days had passed for this to still be about jet lag. Where was my usual lust for adventure? South America failed to enchant me like I always imagined it would. I felt like a kid being told that Santa Claus wasn’t real. On May 21, I returned to Buenos Aires dismayed, desperate to redeem my return ticket. Argentina couldn’t satisfy my itch – if anything, it made it worse. José Itskovici, my 76-year-old taxi driver, enthusiastically shared his life story with me on the drive to the airport. He and his wife Maria, an English teacher, had spent the best part of the last decade traveling the globe. Laughing, he explained her proclivity for spending their entire salaries on trips abroad. When he learned where I was born, he grabbed his phone and excitedly told his wife that his current passenger was Hungarian, and asked where, exactly, had they stayed on that trip to Budapest? Of course, of all the hotels, they had ended up in Mercure Budapest Korona, at the end of my street in the city center. But to José, the destination itself was irrelevant. All that mattered was that he was with Maria, who spoke English, and could take him by the hand and lead him around the world. I burst out laughing upon hearing this – at last, it hit me. The past fortnight had been surreal – I’d finally made it to the continent of my dreams. I should never have been here after choosing love over adventure, yet here I was, soaking up all its incredible sights and traditions. But while Buenos Aires was just as wonderful as I’d imagined, without Natia, it was irrelevant, the new sights and distractions relegated to the mundane. Later, as the plane turned towards Georgia, I couldn’t help but smile. After a lifetime of playing detective, searching for where I belonged, I realized my folly. Travel isn’t about destinations but people. Home wasn’t a place but a person. 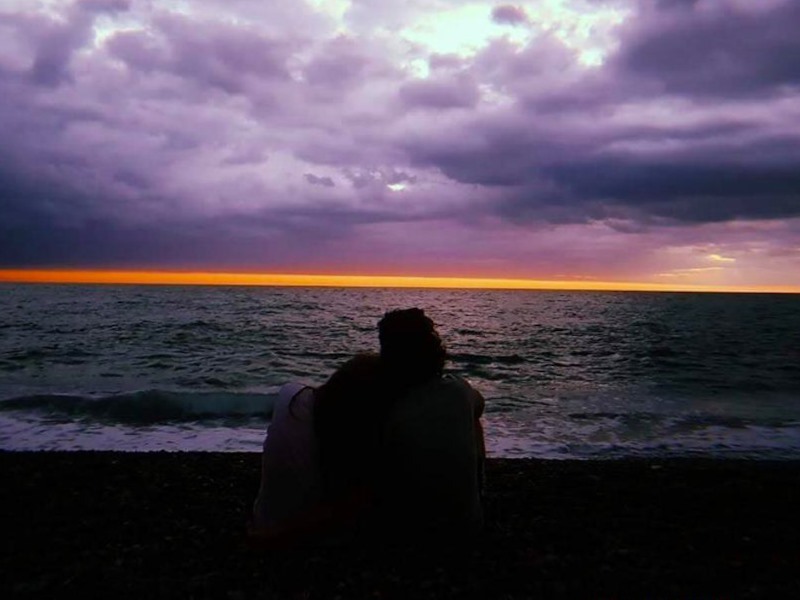 I had found my home – and she was waiting for me. Lost in this world, at least spiritually, since leaving his native Hungary at the tender age of three, Máté is an aspiring travel writer and full-time foodie. Travel Writing Scholarship Winner Máté visits the forbidden homeland of the woman he loves. Tim Neville thought his relationship with his girlfriend was beyond saving. Fiji had other ideas. Máté travels from Buenos Aires to Salta and Jujuy and discovers more than he bargains for about traveling and himself. From secret spots in little-known neighborhoods to the best local markets and museums, Buenos Aires native Martina shares her tips.